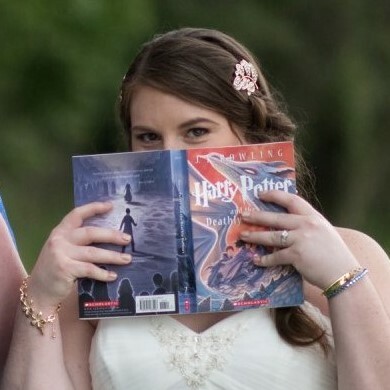 Hey there fellow book nerd! I'm a new book blogger in the internet world who reviews books of both YA and New Adult (and occasionally Adult) fiction genres. These consist of mainly: fantasy + sci-fi, steampunk, paranormal romance, and historical fiction. I have been entranced with reading fictional novels and fantasized living in fictional worlds ever since I was a young child. Scope out my page where I blog about anything and everything related to bookish culture! If you’re anything like me you’ve got piles of books stacked up to your ceiling (may or may not be exaggerating, but if you do I won’t judge). Sometimes you just gotta take a stand and either take a break on buying buys or figure out how to get the best deals so you can keep on hoarding them into your home. I see you secretly ordering them online and hoping no one notices. Yes, I’m talking to you! When you’re ready to do some serious #booknerd adulting here I’ve got this handy list of ideas to make it happen. In Iceland they have a holiday known as Jólabókaflóð (“Yule Book Flood” in English). Basically people give each other books and spend the holiday cozied up inside reading and yes, I agree, it should be a thing worldwide. I am all for it! If you’re unsure of what kind of books your fellow nerd would like to read, it’s all good because I got you covered with a bunch of other bookish ideas to fulfill their heart with content.